Boost your lifts and pack on more muscle with this advanced training technique. For big strength gains, straight sets just aren’t enough. Traditional set-and-rep schemes like 4 sets of 10 reps, 3 sets of 12 reps, or even 5 sets of 5 reps are limited because your strength declines from set to set, and your training stays at only one level of intensity. What if there was a routine that exposed you to different intensities so you could gain more strength and pack on more muscle? And what if there was a routine that could “shock” your body into lifting heavier weights? Say hello to wave loading. 8 reps of 300 lbs. 6 reps of 320 lbs. 4 reps of 340 lbs. 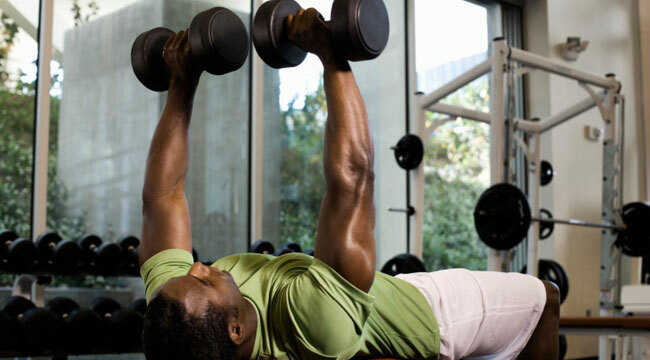 Here, the reps decrease with each set as the weights increase. You can also reverse the order (an ascending wave) to focus on strength instead of hypertrophy. 8 reps of 305 lbs. 6 reps of 325 lbs. 4 reps of 345 lbs. 6 reps of 320 lb. 1 rep of 360 lb. 6 reps of 325 lb. 1 rep of 365 lb. This is called “rapid wave loading:” the waves become spikes that peak with a few, heavy reps.
Second, it exposes you to heavy weights, which are absolutely critical for growth. Too often, programs favor high volume and low weights when it’s actually the high weights that stimulate your big gains. How high? Think above 80% of your one-rep max. To pack on more muscle, there’s no substitute for lifting gut-wrenchingly heavy weight. Third, wave loading “shocks” your muscles to lift more – a phenomenon called “post-activation potentiation.” From a quick exposure to heavy weights, you stimulate your neural system and improve your muscles’ ability to generate power. 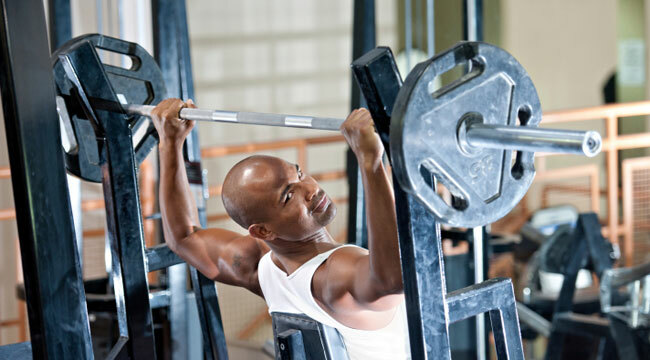 Now, you can lift more and get bigger strength gains. The key with these waves is to maintain the balance between activation and fatigue. If your spikes are too heavy, they’ll tire you. If they’re not heavy enough, you won’t potentiate the muscle. As the weights get heavy, rest more. As you familiarize yourself with wave loading, feel free to get more creative. Add another wave, change the direction of the waves (more reps and less weight or vice versa), or increase the speed of your lifts.